This year's featured artist is Laura Nelkin! 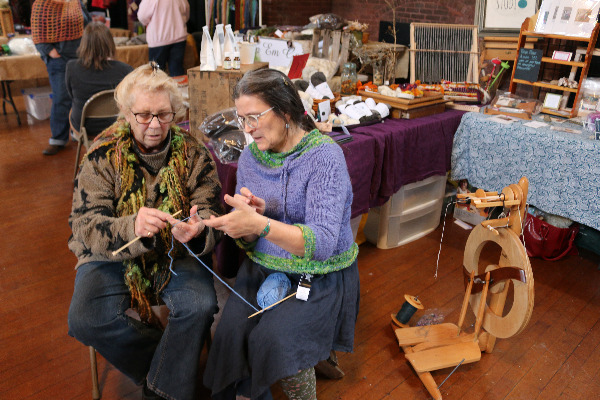 Fiber Flurry is a Fiber Arts festival where participants have the opportunity to learn, practice, or present the cutting edge to the traditional in fiber. 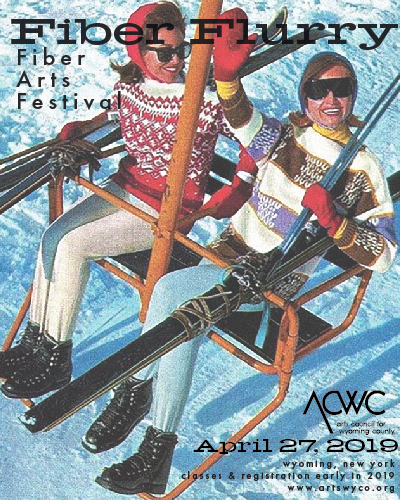 Presented by the Arts Council for Wyoming County and held in historic Wyoming, New York, the all-day event has workshops and food provided by the Wyoming Inn. You are also welcomed to take a workshop from a master fiber artist in knitting, wet or dry felting, weaving, embroidery, dying yarn, and other fiber arts techniques. The public is welcomed to visit our Hall of Artists where regional fiber artists sell inspiring materials (e.g. yarn, roving, fiber art, yarn notions) or art work made of fiber. Wyoming County Artist Sarah Bass of Propanicus Moon is dyeing limited edition Fiber Flurry yarn that will be available for Fiber Flurry attendees. Interested in showing in our Hall of Artists? Please visit this link to get more information on exhibiting at Fiber Flurry as an artist or vendor.